← Amie just posted the first part of her book. This lawyer lady has some nifty rifles. I bet this one works well in the snow. FS2000 with Gemtech G5 and Aimpoint sight. 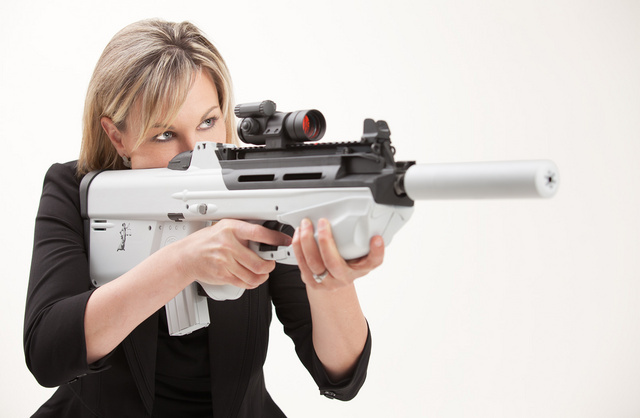 This entry was posted in rifle, sound suppressor and tagged 223, bullpup, white. Bookmark the permalink. What was that line you came up with the other day, about canned goods?